That certainly is the chief aim for every ministry at SCBC, the Women’s Ministry is no exception. Cynthia Yount has been the Women’s Ministry Coordinator for the past 9 months, and she is joined by a passionate team of women: Erin Blackwell, Francine Haymes, Sarah Poynter, Bev Rutherford, and myself. In their book Word-Filled Women’s Ministry, Gloria Furman and Kathleen Nielson make a poignant reminder for anyone who follows Jesus. Though involvement in your women’s ministry can and—in fact—does meet some of our immediate needs for friendship, sense of belonging, and opportunities to serve; those needs must be secondary to our ultimate need: knowing Christ personally. Your WM team spends many hours praying before planning events to ensure that the focus of any activity is centered around the hope of the gospel of Jesus Christ. If you are a woman, a follower of Jesus, and a member of SCBC, you are ‘the women’s ministry.’ No women, no women’s ministry. This ministry is not and cannot be built on the backs of your WM team. 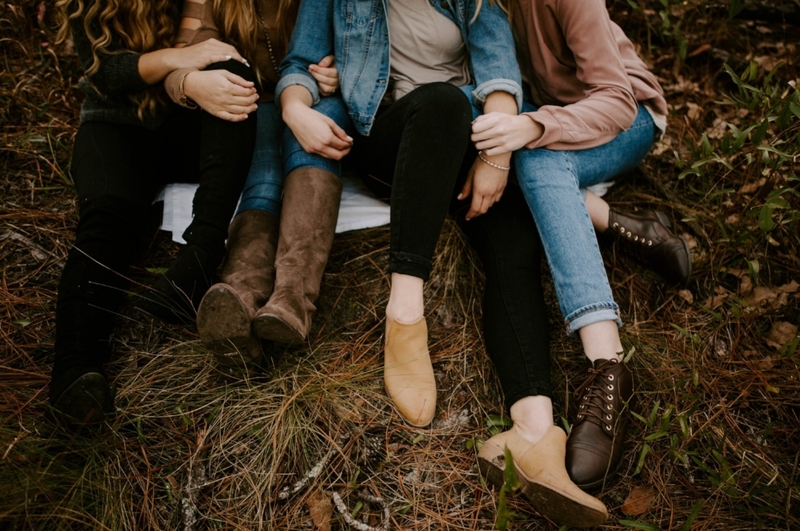 In order to demonstrate a biblical ministry, the women of the church are called to work together as one body to exhort one another to look more like Christ (1 Thessalonians 5:11), to keep each other accountable (Hebrews 3:13), to bear a sister’s burdens (Galatians 6:2), to provide friendship (Proverbs 27:17), to mentor a younger believer (Titus 2:3-5), and to remind one another of God’s Word (Philippians 2:3-4). “Please realize that you have wisdom and experience that can speak directly to the needs, hurts, and desires of the [women in your church]” encourages Susan Hunt and Kristie Anyabwile in the same book, Word-Filled Women’s Ministry. It takes the women of Swift Creek Baptist Church to die to themselves and their preconceived notions; and to actively get plugged in with other women hungry for more of Jesus, more accountability, and more friendship. Please know that not one woman in the church has it all together, and to make that claim would diminish the power of the Cross. We are all—followers of Christ or not—relying on the grace of Jesus to make it just one more second. As Cynthia so eloquently puts it, “I am a hot mess from time to time. I don’t have it all together no matter what it seems like. I was rescued from myself by the sheer grace of God.” Know that your involvement in your women’s ministry means you don’t have to hide your sin or your brokenness. Jesus knows your sin, has died because of your sin, conquered death for your very life; and I admonish you to live in that freedom that Christ lavishes on you. Know that your involvement in your women’s ministry means you can celebrate your successes and victories with those who will rejoice with you. You have incredible freedom in Christ when you surrender to his Lordship. About the Author: Renee is the wife of Student Pastor, Mark Young. They have three children, Ezra (2.5), Piper (1.5), and Zoe due in September. She enjoys reading and doing anything outside. She consumes too much coffee and is eager to talk to anyone. Renee can be reached by email at renee.markyoung@gmail.com.